Date of registration in the “Register of Social Services Providers in St Petersburg”: 17.02.2017, № 7830135. Legal and factual address: 197183 St Petersburg, Primorsky Pr., 33А, office 1-Н. Opening hours for recipients of social services: 10:00 to 18:00, Monday to Friday (except public holidays). Provision of social services in the form of home care is offered at all times, depending on the needs of the recipient of social services, every day of the week including weekends and public holidays. Provision of social services in the form of partial inpatient care is offered 10:00 to 18:00, Monday to Friday (except public holidays). Office tel./fax: +7 (812) 430-5988, +7 (812) 431-0460, +7 (812) 431-0461. In 2017, a total of 4 624 social services were provided in the form of home-based social care to 61 children with disability. 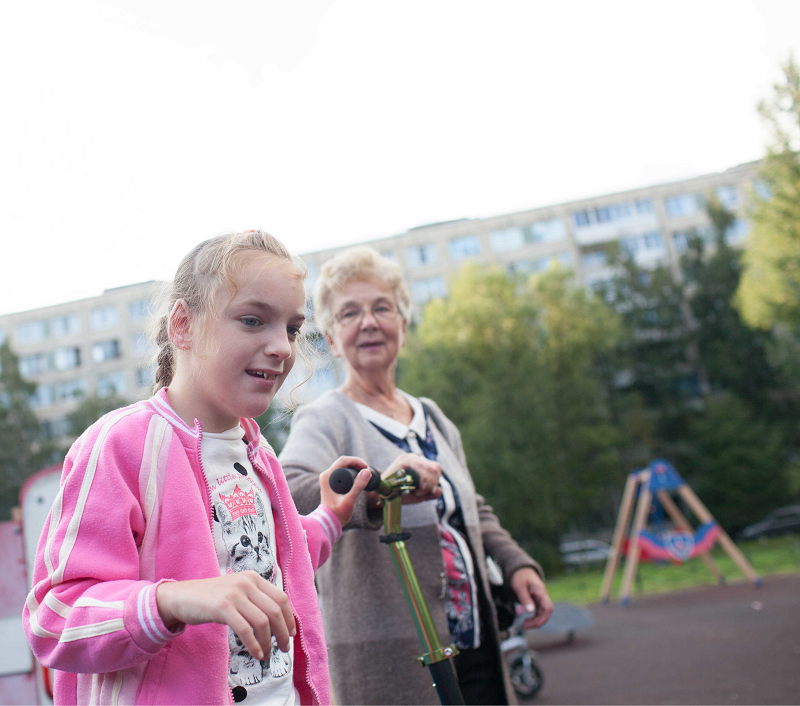 In 2018, a total of 13 491 social services were provided in the form of home-based social care to 74 children with disability. Recommendations of the Public Council for Independent Evaluation of the quality of services provided by organisations that provide social services to residents of St Petersburg, for the purpose of improvement of the quality of work of social services providers, based on the results of the independent evaluation of the quality of services provided carried out in 2018. Plan for addressing deficiencies identified during the independent evaluation of the quality of services provided by ANO “Partnership for Every Child”. Report on eradication of deficiencies identified during the independent evaluation of the quality of services provided by ANO “Partnership for Every Child”. We work to honour your trust!